Did you know that of the 544 pitchers who had 10 or more saves in a season since 2000 that almost 66% were right-handed relievers between the age of 25-34? Of those 57 times when a lefty had 10+ saves since 2000, 24 were by pitchers in their 20’s while 33 were by pitchers in their 30’s. Leading the way for lefties with 10+ saves in a season since 2000 was Bill Wagner with nine seasons. He was followed by Brian Fuentes with seven and Eddie Guardado with six. Most saves by a left-handed reliever: John Franco with 424. Wagner is at 422. Of the 46 pitchers with 200 or more career saves, only six are left-handers. Are there any current left-handed relievers making a mark at the MLB level? Consider this: Only five left-handed pitchers have more than 26 total saves since 2010 (the last five seasons). 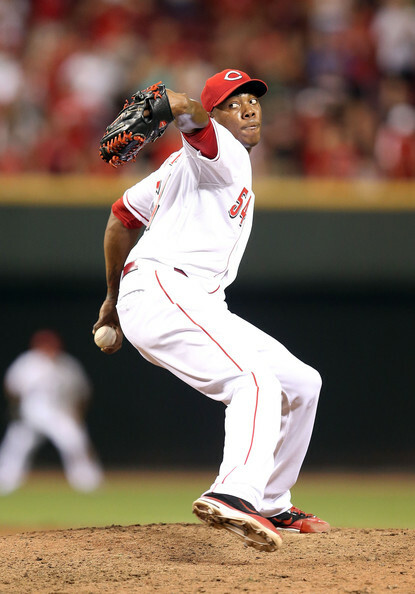 Leading the way is Aroldis Chapman with 108 and Glen Perkins with 97. No one else has more than 50 total since 2010. Thanks, Jerry . . . and Chapman is 27, Perkins 32. Which then begs the question, are young lefthanders not being cultivated, or have the just not been succesful?